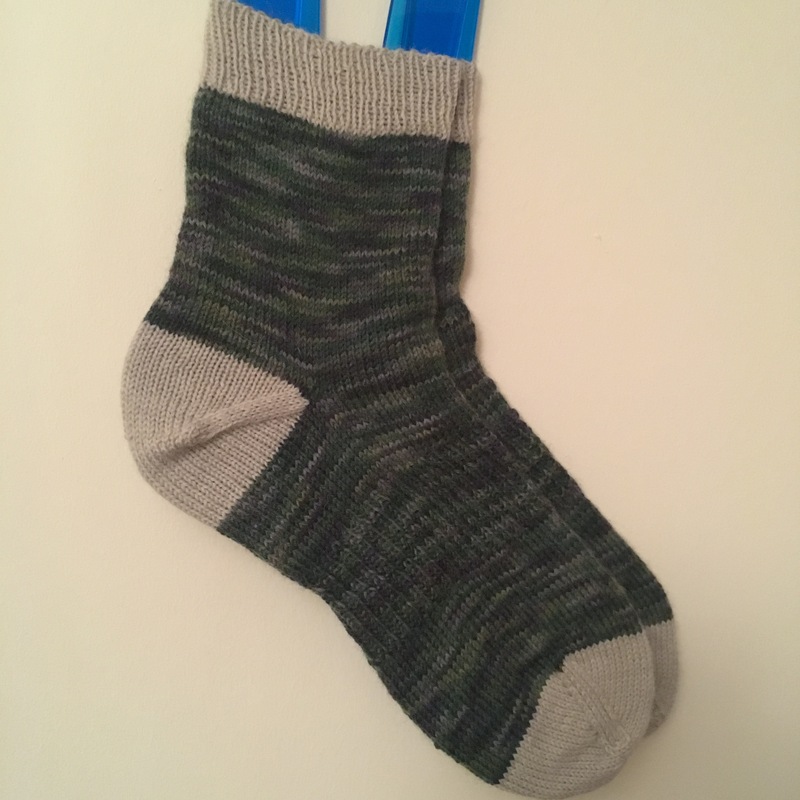 Last year I knitted hats for my family, the year before I knit them all thick welly socks, I have kind of begun a tradition where my family rceive knitted goods for Christmas. Just after last year I decided to expand this enterprise to include my partners family too. He only has his parents, a sister and a brother in law… that’s not too many, so I decided to start early and to get everyone involved! So in January I began knitting my Christmas presents, and my word it has actually taken me all year to get them all done. See his family is only four people (plus him), my family is six people (plus me)… that’s doable right? 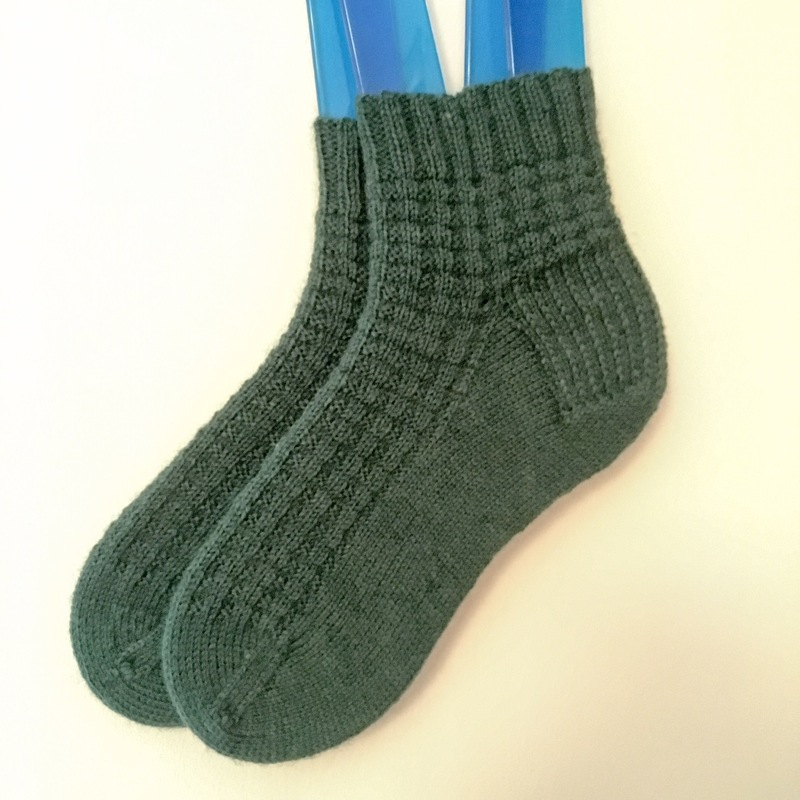 Well I wanted to make them all proper 4ply socks, each one different and each designed for the particular recipient. Ok all simple and straight forward so far. Well actually that’s quite misleading, it implies that things became complicated, they didn’t, it was all very straightforward, it just took me waaaay longer than I expected it to! 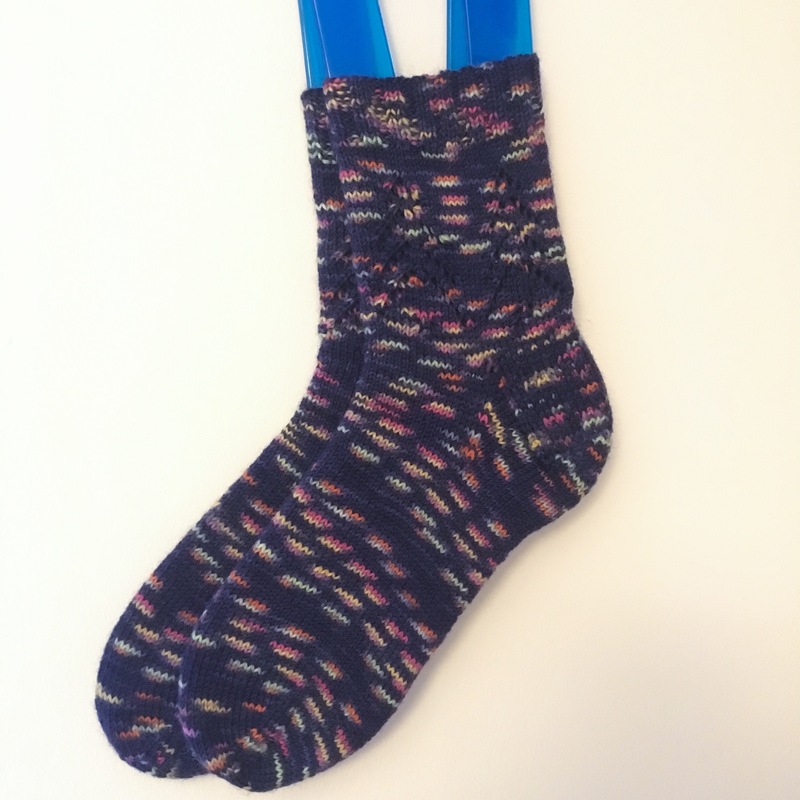 Would you like to see the socks everyone got? 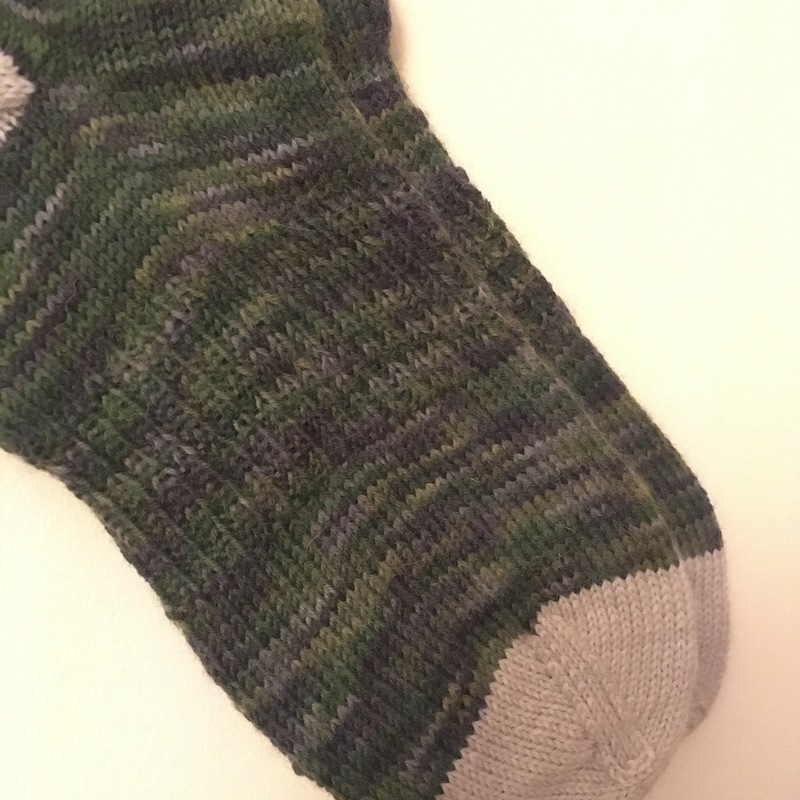 I began with my sister in law… who is Irish… and I didn’t notice I had chosen green for her until I was into the second sock! 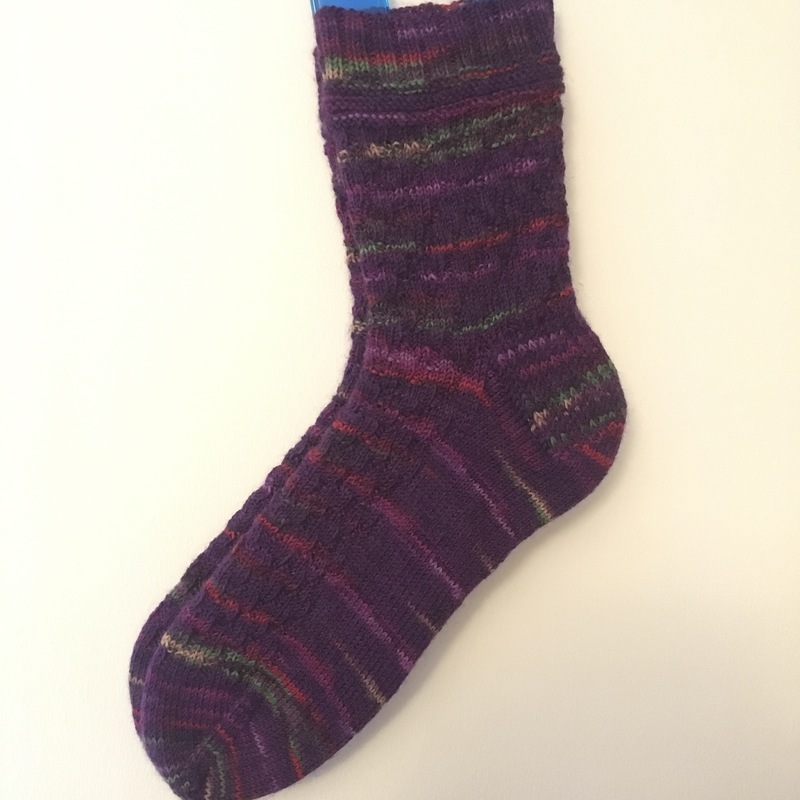 This pattern is called ‘Grandmas Socks’ which is on Ravelry for anyone interested. 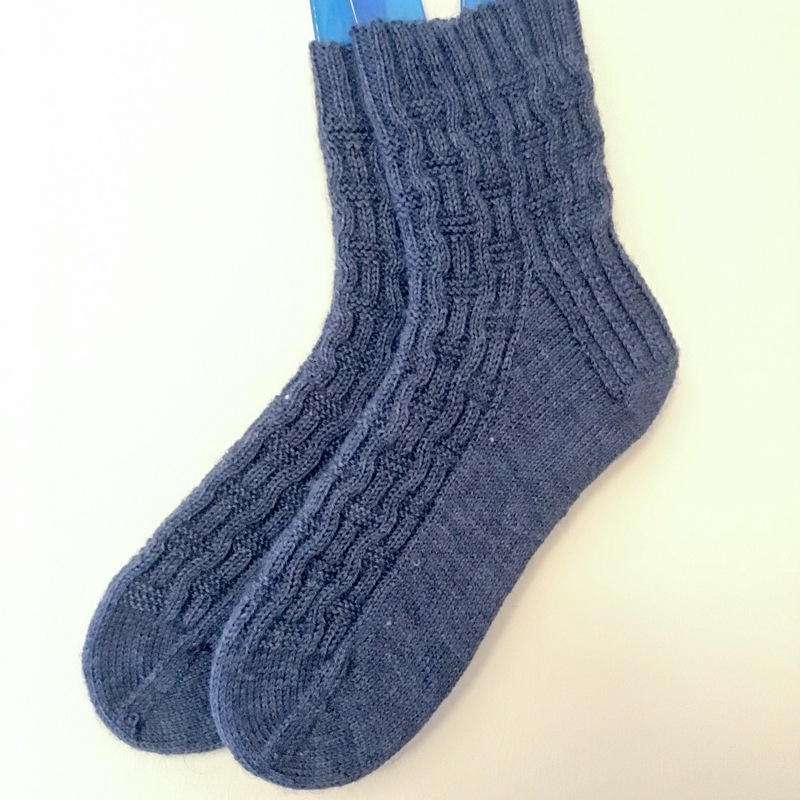 They are knit up in Grundl Hot Socks, which is one of my favourite sock yarns! The colour is called (a very inspirational) ‘green’. I know, I know, the meeting to name all of the yarn colours must have spent ages on that one! 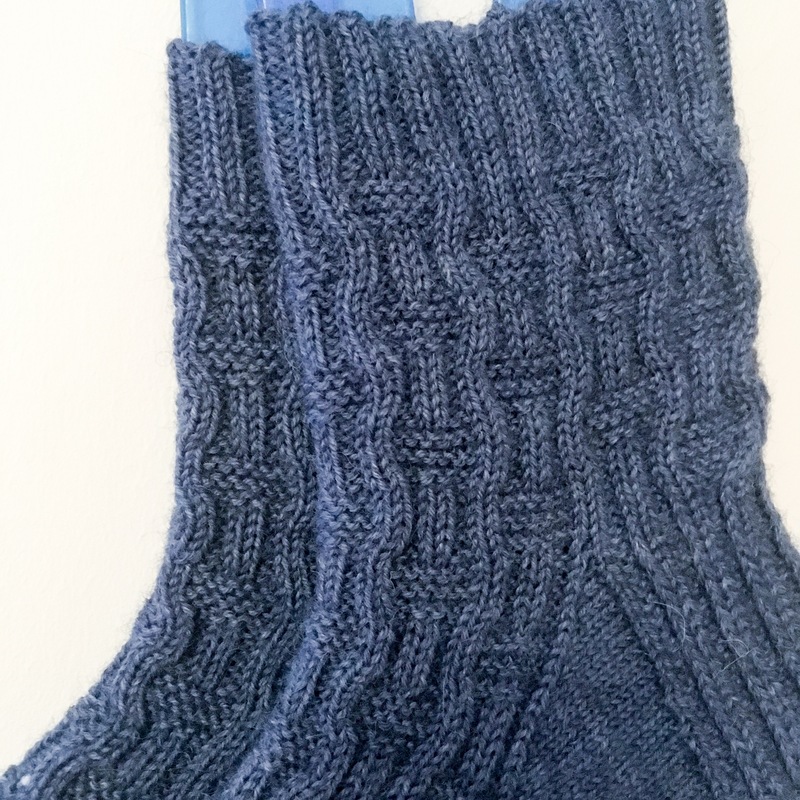 I really liked this pattern, it’s a nice waffle, which is simple to remember and gives a lovely stretchy (in a ribbed way) fit. I’m probably going to make myself a pair at some stage. These were for the Boy (my brother, who got that name as he is the only boy among the siblings). 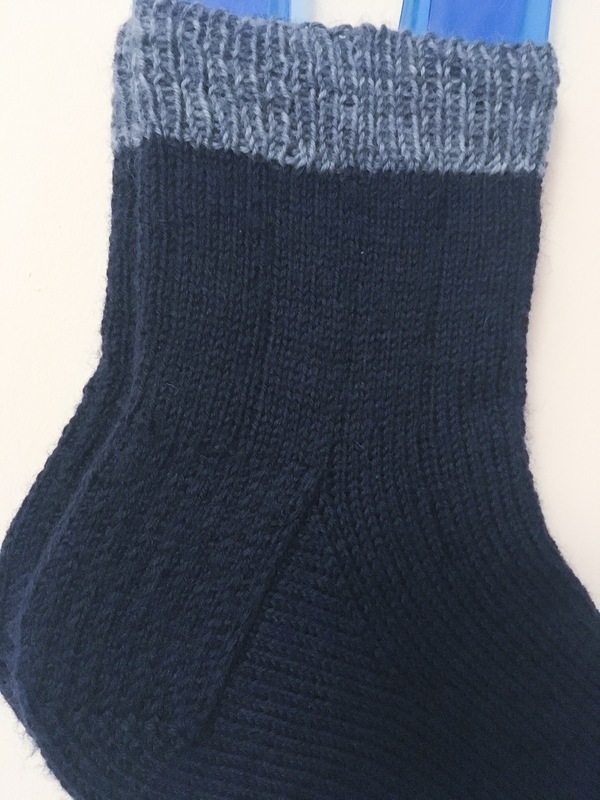 His pattern is called Porthos Socks, which I loved as I was an avid Dogtanian watcher as a child… it’s the simple things in life isn’t it! 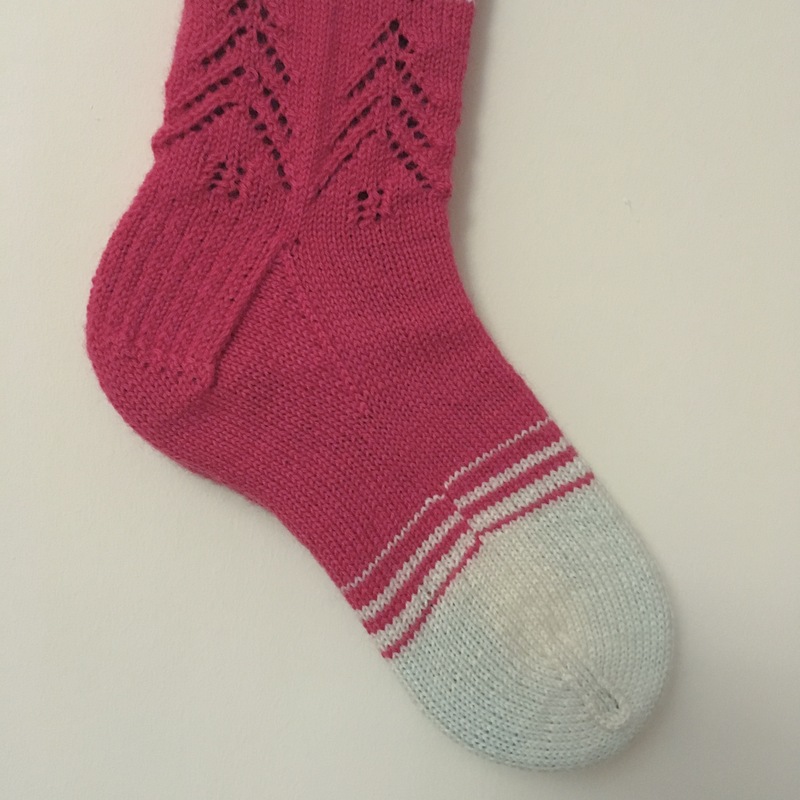 They are knit in Red Heart Sport Socks, which is a good sturdy yarn that feels much nicer after a bit of blocking! 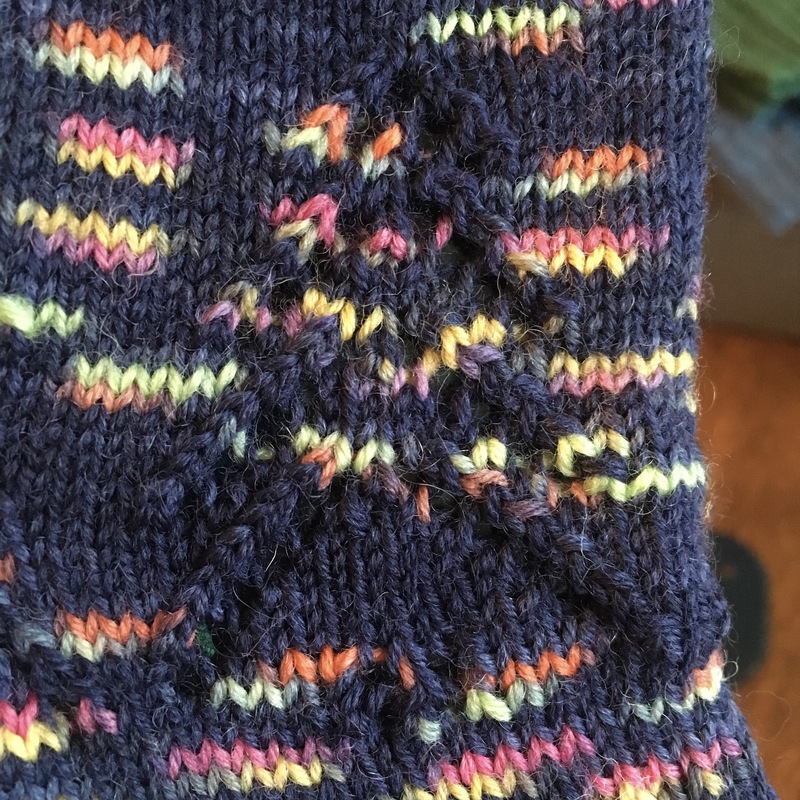 I really liked seeing the knit and purl rib pattern curve in this way, it’s quite magical really… or am I very easily amused. This colour is ‘denim blue’ for those interested. Naming committee did actually do a little more work there. Chris didn’t notice anyway so it’s all good! 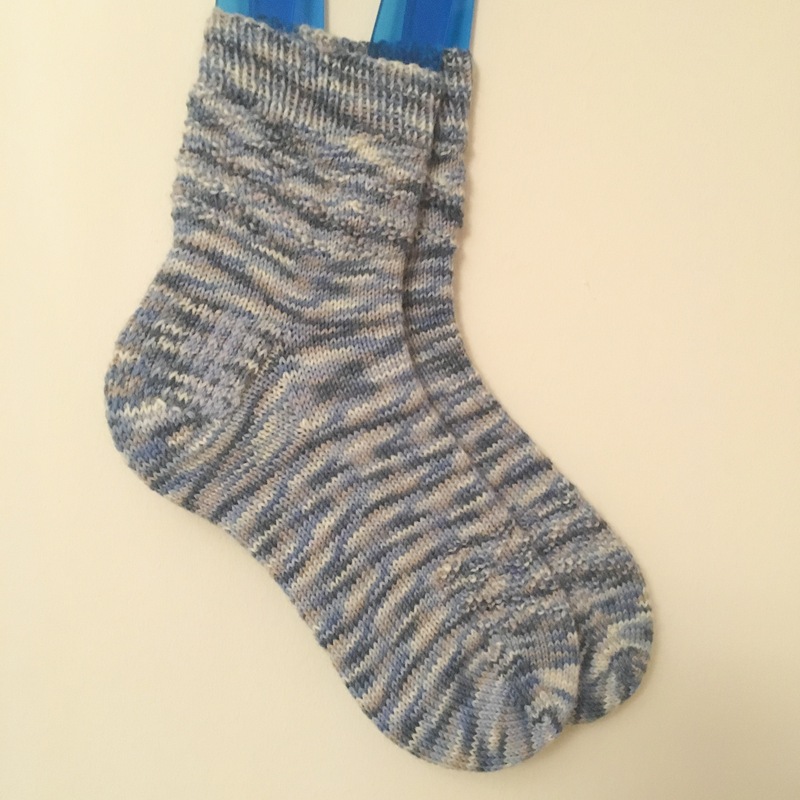 I love the texture on this pattern, it’s very satisfying to make… but men do have very big feet so it felt like it went on forever! That’s why I alternated the women and the men! Much more subtle… I need to plan what I’m going to use for my socks in this yarn…it might just be a very plain pattern to make the most of that neon! It’s got two bands just under the cuff before you crack on with the pattern, which comes out looking like a diagonal cable. Great fit these ones too because that pattern makes for a very stretchy fit. 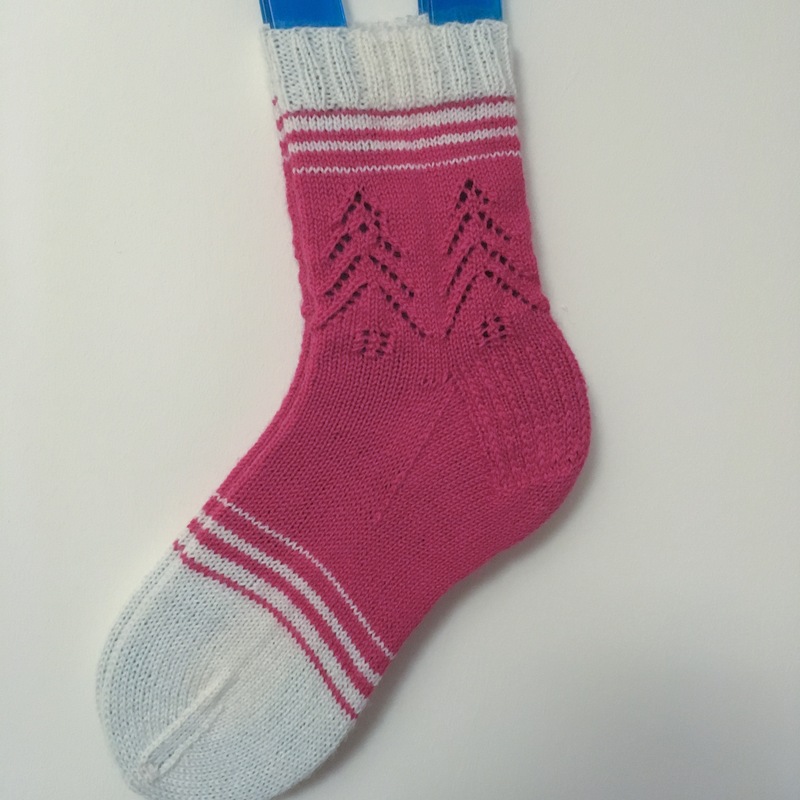 Thesocks for Js mum are knit up using more Red Heart Sports Sock in colourway….. 00002…. yep, the naming committee have outdone themselves! It must have a name too, but the seller I bought them from on eBay didn’t include that! I did a chevron type pattern around the cuffs and above the toes to add some interest. But December was approaching and spread was of the essence so a simple bulk of the body was kind of needed. 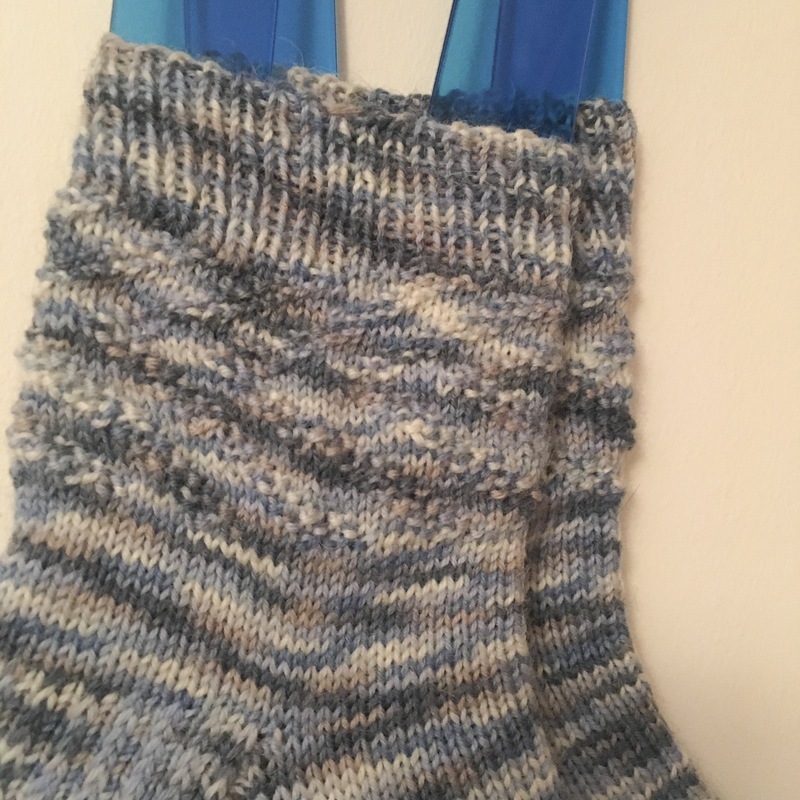 I did the heel flap in a simple slip stitch which is my favourite, I usually replace the required heel on patterns for this one. 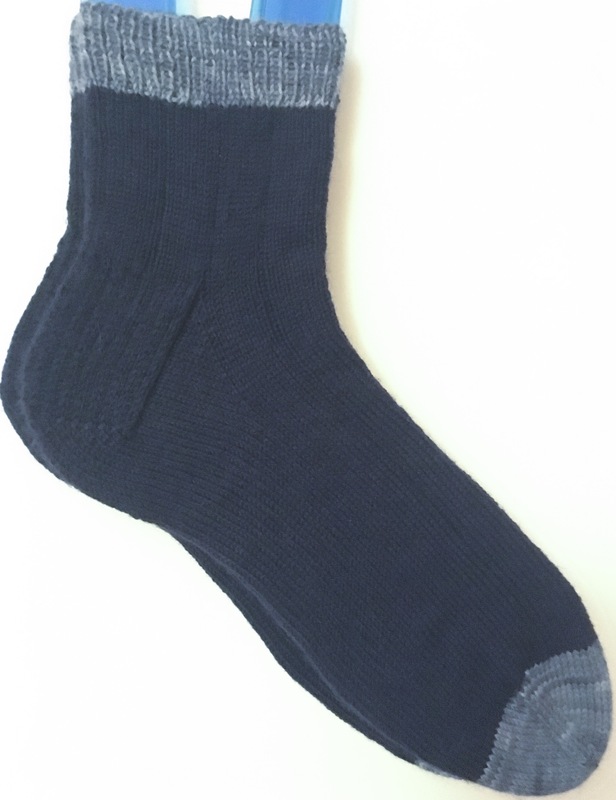 The socks for Js dad were very simple ones with a contrast heel, cuff and toe. I did afterthought heels on these which didn’t quite lie right, not really improved by blocking but I hope they wear well. These yarns are both Grundl Hot Socks, the green is called Heather, the cream is very inventively called ‘cream’. 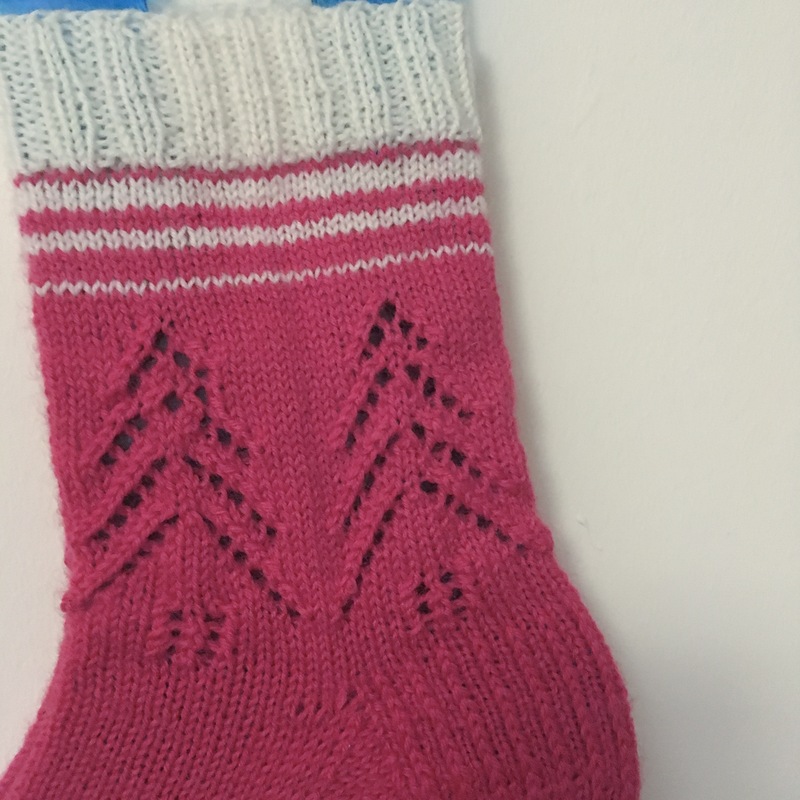 The only pattern I made on these ones was to add a bit of 1×1 ribbing round the arch of the foot. My thoughts were to make the fit a bit better, but I ribbed all of the way round rather than just the top. I think I will do this again but only over the top of the foot. Another invented pattern… kind of. It’s just a 7×1 rib to add some fit. The yarn is the star here, I am in love with this one (guess who has another ball of this for herself!) it’s Regia 4 Fadig in the colourway ‘mosaic’. These ones are for Js sister, who has the same size feet as me… she nearly didn’t get them. Do you want a close up of that yarn? And the final pair!! These are for Js brother in law, who has size 11 feet! I left him till last I will confess. 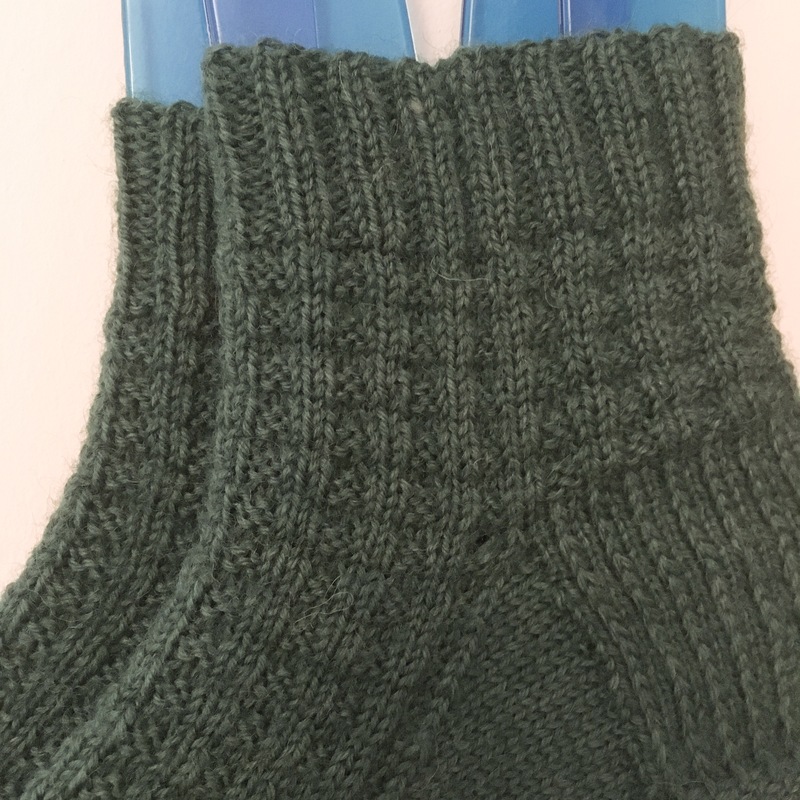 They are again the 7×1 rib so pretty basic, but I’ve added the contrast toes and cuff to make them pretty! The yarn is a mystery ball I had in my drawer, with more leftover mystery yarn for toes, though I think the toe yarn is a Grundl Hot Socks one. 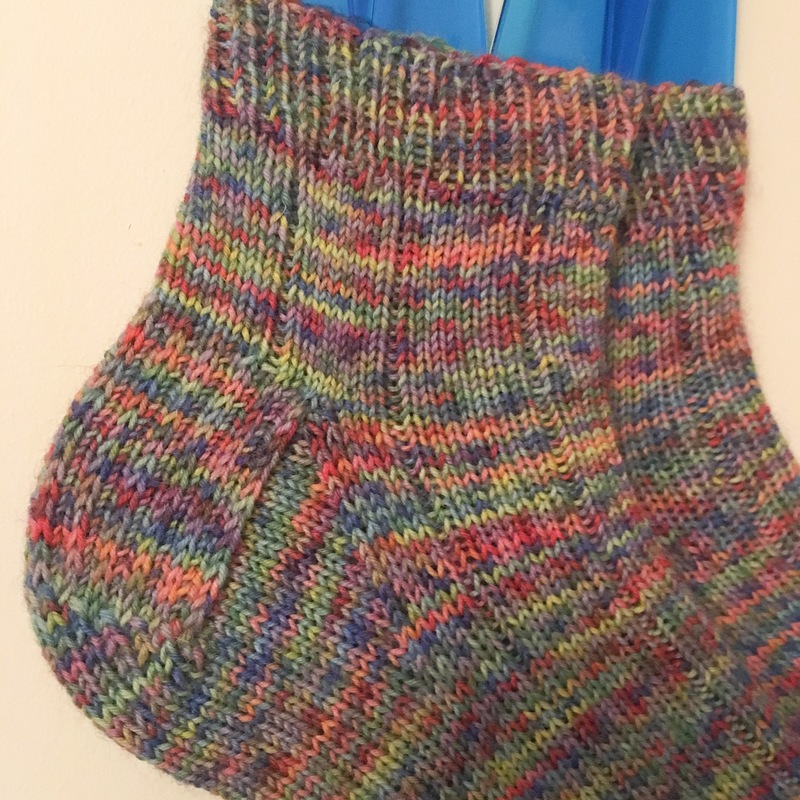 Again just my favourite slip stitch heel which I just love doing. I finished these ones off on the train coming back home for Christmas. 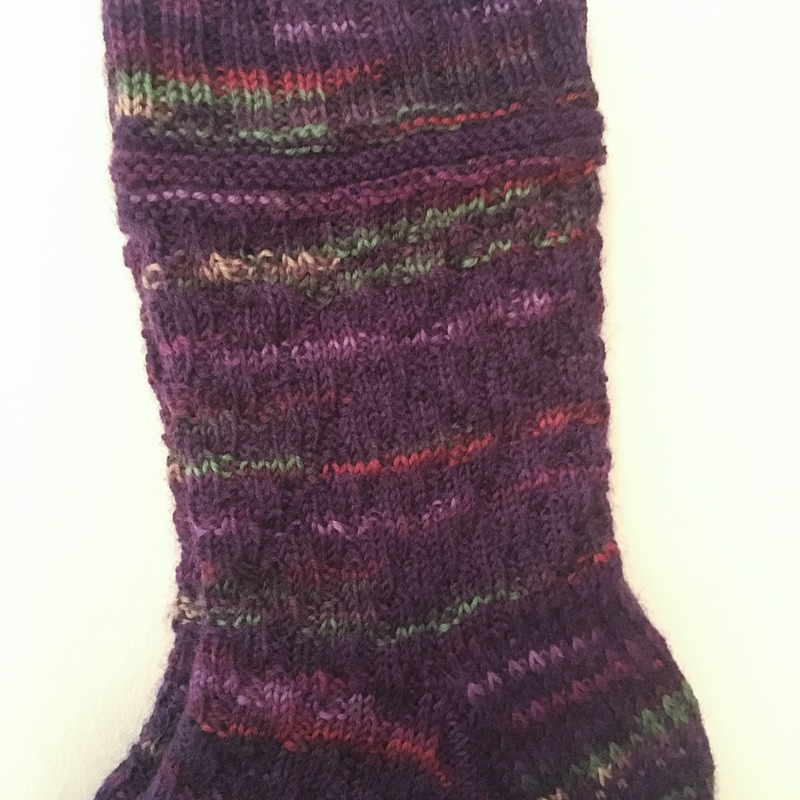 The good thing I’ve found from this project is that I’ve become very good at knitting socks, I used to get a gap at the top corner of the gusset…. not any more… engage smug mode! 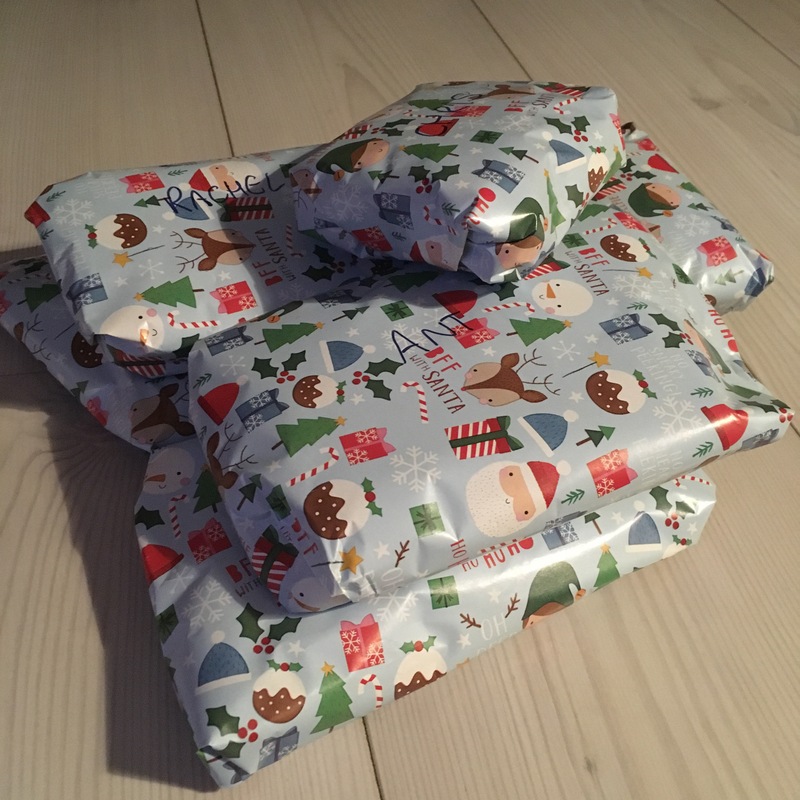 I took half of them down to my parents house, the rest were all wrapped up under our tree for when the hoards descended on Christmas Day… everyone was very happy with their socks. 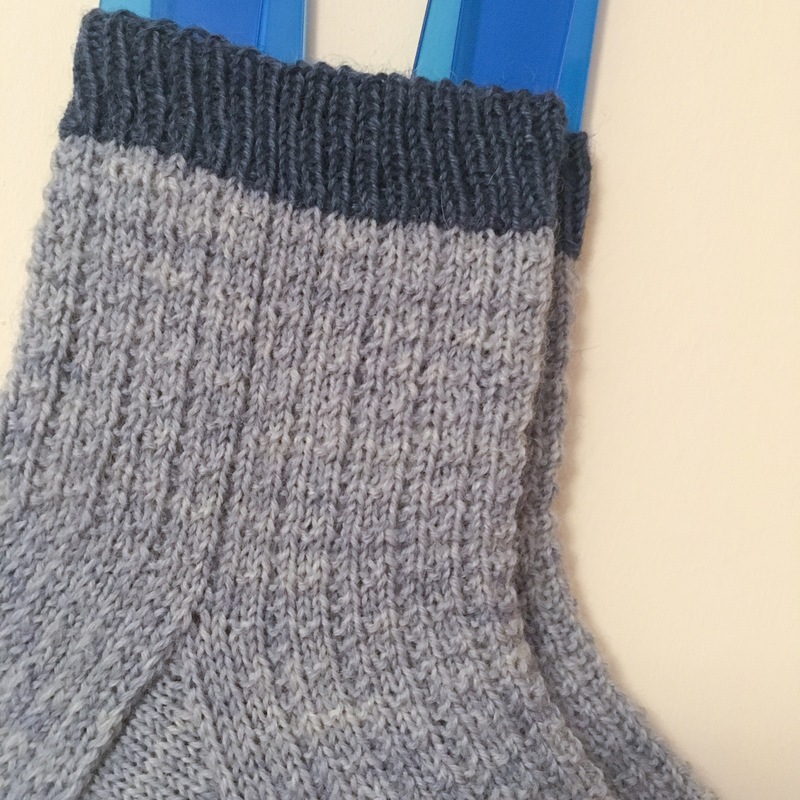 Phew that was long… right I’m off to knit myself a pair of socks. So. Many. 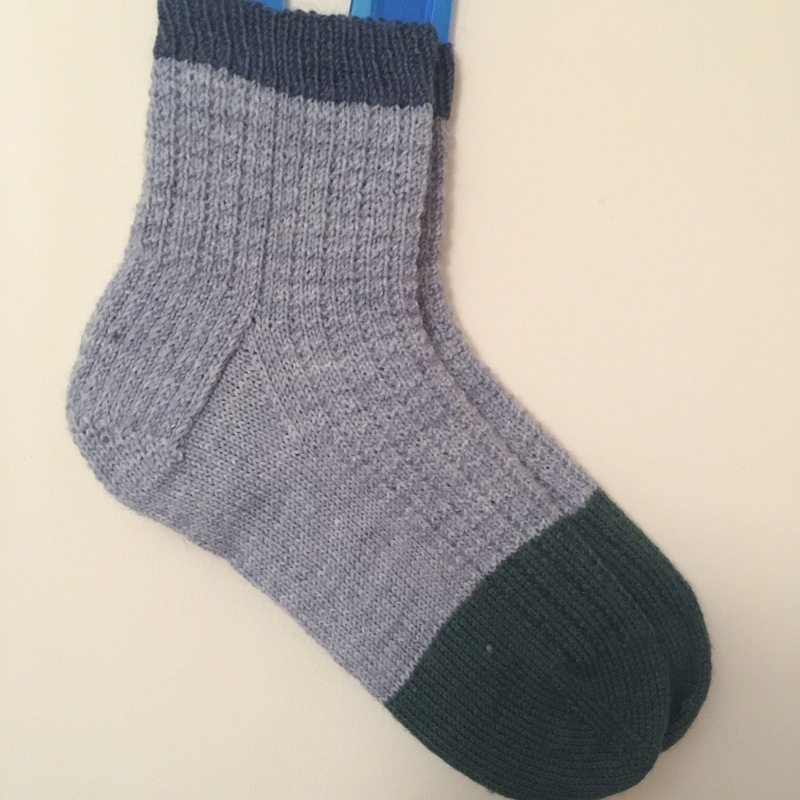 Socks!! I am very impressed. Amazing collection! I wish I had your skills with the gusset. I always get the little hole and it drives me nuts. Merry Christmas!